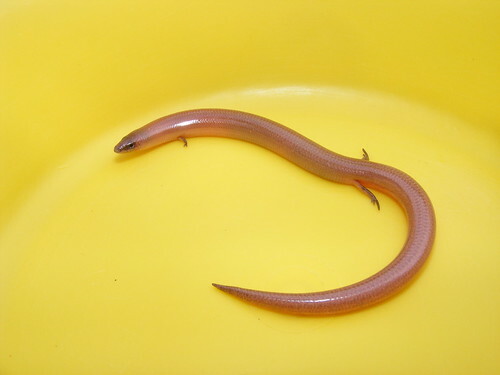 Can you confirm these amateur observations of Lerista macropisthopus? Distribution macropisthopus: Australia (Western Australia); Type locality: Qld. fusciceps: central Western Australia; Type locality: 2 km SSW Carnarvon, WA [24°54'S 113°39'E]. galea: central Western Australia; Type locality: 8 km S Galena, WA [27°53'S 114°42'E]. remota: central interior of Western Australia; Type locality: Coondra Coondra Spring, Robertson Range, WA [23°06'S 121°02'E]. Diagnosis Diagnosis (macropisthopus): A dark robust subspecies of L. macropisthopus with 2 fingers, 3 toes and little or no colour pattern. Diagnosis (galea): Most like L. m. fusciceps but having 1 finger (occasionally 2), 2 toes and less contrast between colour of head and body. 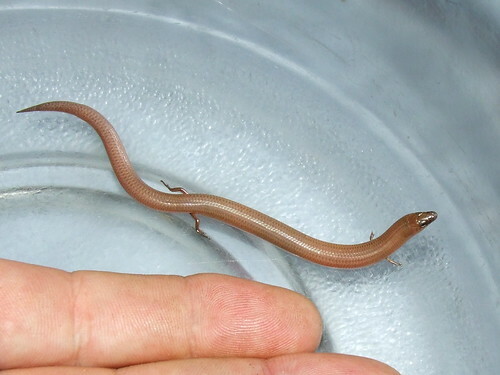 Diagnosis (fusciceps): A subspecies of L. macropisthopus with 2 fingers, 3 toes and dark head contrasting with pale body and tail. Diagnosis (remota): Most like L. m. macropisthopus but having paler coloration and some pattern (head stippled and back dotted with dark brown). Comment Front and hind limbs with 2 and 3 digits, respectively. 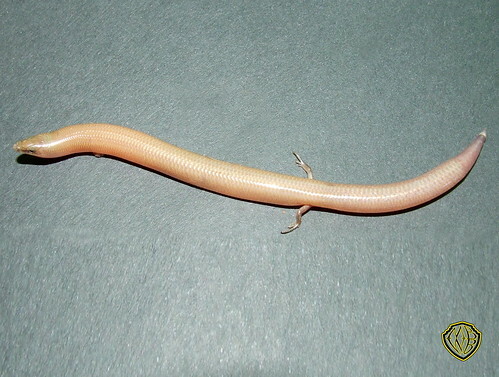 Type Species: Lygosoma (Rhodona) macropisthopus Werner, 1903 is the type species of the genus Aphroditia WELLS 2012: 157. WELLS 2012: 47 erected the genus for A. axillaris, baynesi, bunglebungle, desertorum, edwardsae, emmotti, eupoda, fusciceps, galea, gerrardii, macropisthopus, picturata, punctatovittata,puncticauda, remota. Unfortunately WELLS did not provide a phylogenetic analysis of the genera into which he broke up Lerista, hence we leave the current genus Lerista intact for the time being. Etymology L. m. galea was named after the Latin word for helmet, in allusion to dark top of head. 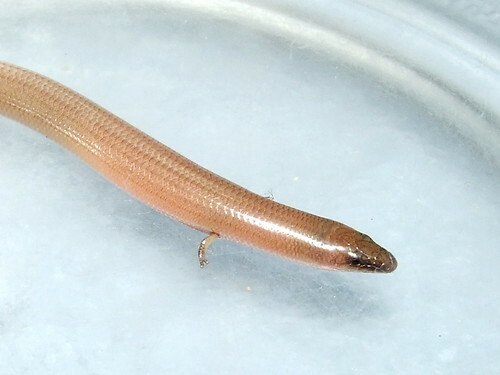 L. m. fusciceps was named after the Latin “fuscus” (dark) and “-ceps” (head).